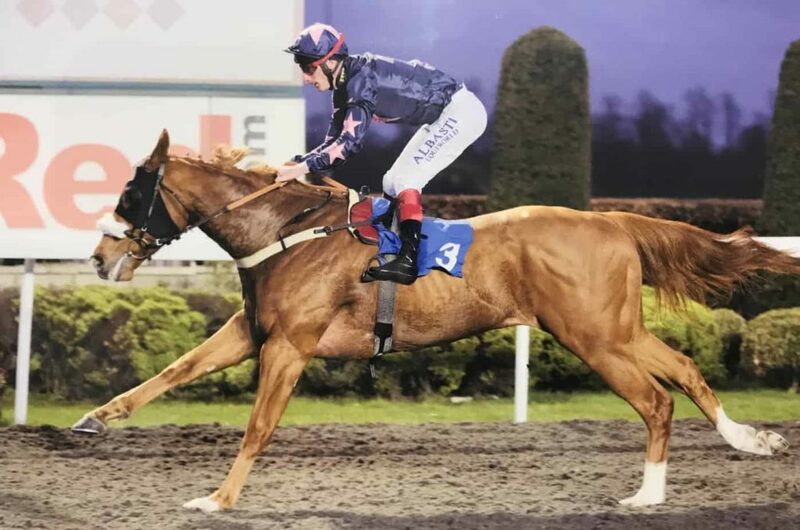 Dawn Commando broke his maiden in good style at Kempton last night (Wednesday March 27th) for owner Andrew Stonehill. The big gelding by Dawn Approach was given a quality, confident ride by Adam Kirby who forced a strong pace from the gates. Steadied and given a breather round the bend he kicked on again to open a big lead as the furious early pace began to take its toll on many of his rivals. He tired late on and a few began to close but it was too little too late. It is a testament to Adam’s analysis of the horse from his previous start allowed him to judge his ride perfectly. Dawn Commando was bred by Brendan Boyle who sold him as a foal and we purchased him at Tattersalls Ireland as a yearling for 10,000 Euros. He has turned a corner in his last couple of starts and is now developing the right way. 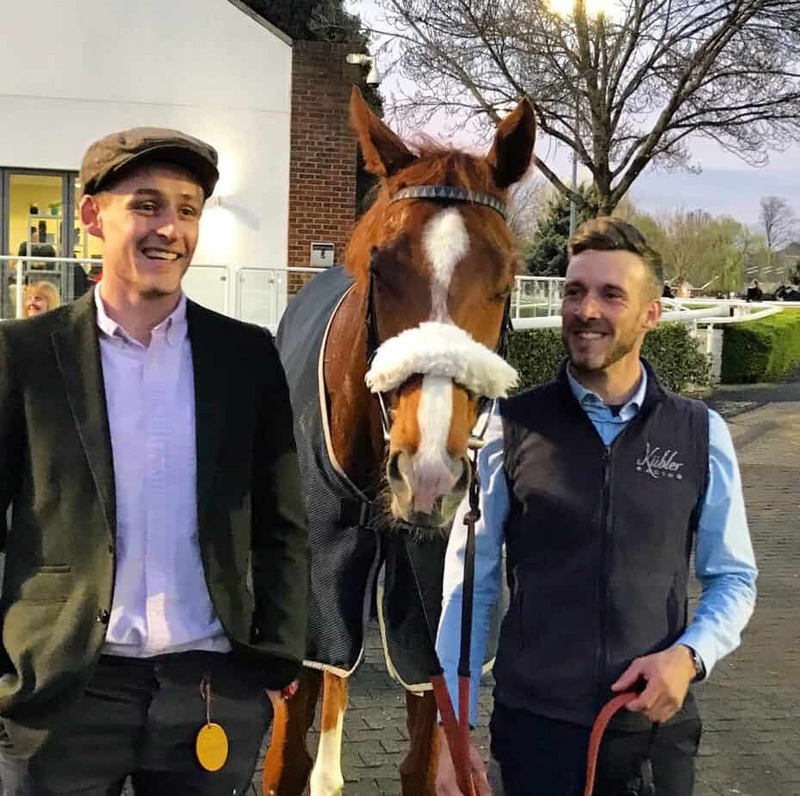 He should continue to give owner Andrew Stonehill and us all plenty of fun together in the coming weeks. Thanks to the team for all their hard work, office manager Grace Stephens rides him out every morning and he is a definite favourite of hers.